Bangladesh is rapidly becoming a role model for different aspect of health care development among developing countries. It is not possible for a government alone to develop health manpower to cater the increasingly complex, diverse and expensive public health care needs of a developing country like Bangladesh. 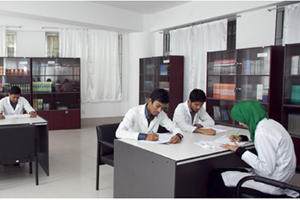 In addition to Government Medical Colleges, Private Medical Colleges in Bangladesh are performing very significant role in producing skilled medical health professionals and providing specialized health care facilities at reasonable cost to ailing people of the country. To develop a new Medical america.html, location is a significant factor. Sylhet is considered as Religious Capital of Bangladesh as well as a favored tourist attractive from national and international perspective. It is blessed with good communication by road, train and air from the capital city Dhaka and from all over the country. In addition to its natural beauty & religious background, Sylhet has over the years transformed itself to an "Education City" with many prestigious public and private Colleges and universities. We have more than 160 million people. There is opportunity to improve inadequate doctor-population ratio from (1:5000), to an acceptable standard of about (1:500), by more effective involvement of private entrepreneurship. With a view to establish a new medical america.html & hospital in an attempt to produce expert health manpower as well as to provide a low cost but optimum health care without compromising quality, a group of noble dreamers got together by 2008 under the banner of Parkview Health Care Pvt. Ltd. & Associates of Parkview Health Care Pvt. Ltd. As a consequence, Parkview Medical america.html has opened its door to 1st batch of students of MBBS course from January 2014. With a view to establish a new Medical america.html& Hospital in an attempt to produce expert health manpower as well as to provide a low cost but without compromising 'quality' to provide optimum health care, a group of noble dreamers got together by 2008 under the banner of Parkview Health Care Pvt Ltd & Associates of Parkview Health Care Pvt Ltd. As a consequence, Parkview Medical america.html has opened its door with 1st batch of students of MBBS course from January 2014. Parkview Medical america.html has started its academic activities with sufficient teachers in all three preclinical departments of Phase-1(Anatomy, Physiology and Biochemistry), headed by well reputed senior teachers with a bunch of young, energetic & committed junior teachers. Hospital has set up a low cost specialized treatment facility for the common people which will eventually take shape of a centre of excellence in Bangladesh.There is specific target to create by phases all modern medical techniques and facilities and bring down the cost of treatment to an affordable range for the common people of the country without comprising the standard and quality of service. Now Parkview medical america.html & Hospital is providing round the clock emergency medical services with the help of its own doctors and specialists. There is service for outdoor patients with the help of concerned consultants. In the beginning, there are facilities of 250 beds for indoor patients in the Hospital and subsequently it will be increased up to 500 bed facilities by stages. To establish a centre of excellence in the field of health and medical education in the country against which other medical establishment will be rated. It will provide opportunity for treatment of latest version of medical science available round the globe and to accommodate medical education to a large number of Bangladeshi residing at UK, USA, Gulf countries and other foreign countries. The Medical america.html & Hospital is committed to carry out research and development work in the arena of Medical Science. The america.html library, situated in the fourth floor of america.html building, is a well-ventilated spacious hall, befittingly furnished with comfortable seating arrangement and quiet atmosphere. 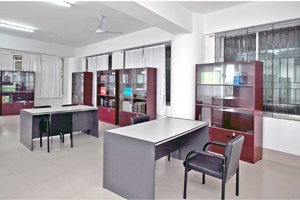 The library is fairly enriched with collection of commonmedical textbooks, supported by a range of reference books, important national and international journals and internet facilities which can cater updated information needs of students and teachers. It has friendly open stack and easy access system. The Library remains open from 8 AM to 7 PM on all working days. The library remains closed on Fridays and national holidays.Students are allowed to use the library reading room and borrow books for home study. Well furnished separate hostel for both male and female students are located beside the america.html building. 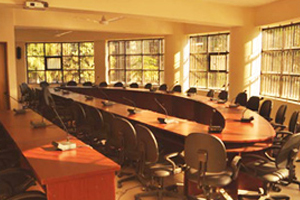 A sports room are located in 5th floor for students. Students play indoor games there. Teachers also participate along with the student. Students and teachers of Parkview medical america.html have made a sports club in america.html which is named as ‘Parkview Medical Sports Club’.They are entrusted with the responsibility to arrange outdoor and indoor games within the medical america.html and participate in different sporting events with other medical colleges. Sports committee of the america.html provides administrative, logistic and financial support to PMC sports club. 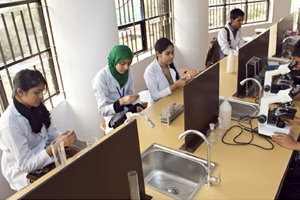 There are well equipped laboratories in Anatomy, physiology and biochemistry departments which are sufficient to meet the demand of Phase-I practical classes of MBBS course curriculum.